There's really no way we can tell you what to do without knowing far more than what is showing in the photos. The first thing that scares me (and remember, I'm fearless), is adding 14-ga wire on what could potentially be a 20 amp circuit. Once I got to that point, I decided your best bet is to call in a pro. My guess is the power goes directly to the light with a "switch wire" running down to the switch. I think quite possibly you shouldn't be messing with electrical at all. 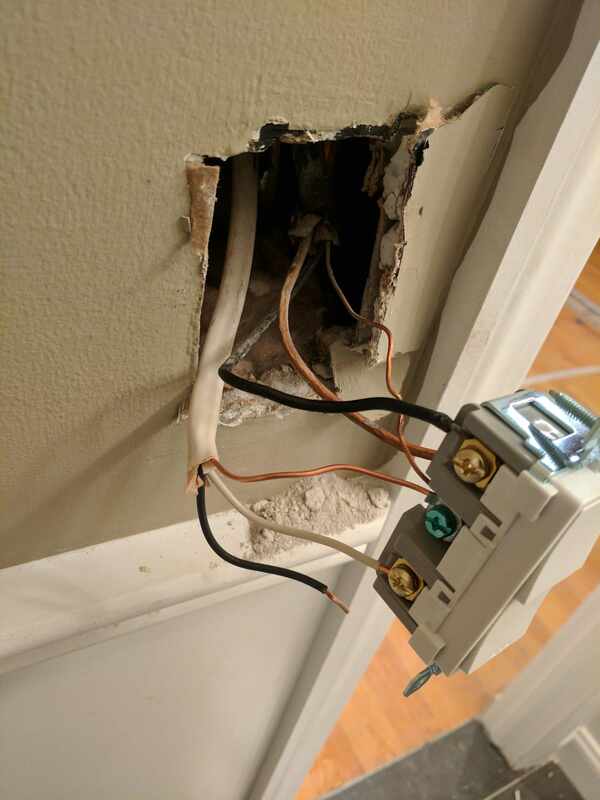 We have no idea what the existing wire is being used for. Is it power? Is it switched or not? Is it a switch loop? Where does it come from? Showing us a wire is like us showing you a gallon of paint and asking if it will be enough. If there is one wire in the box can't we assume it's a switch loop? And he ran a new wire into the box hoping to power a fan so can we not assume he's boned and will never get it to work in it's current state? 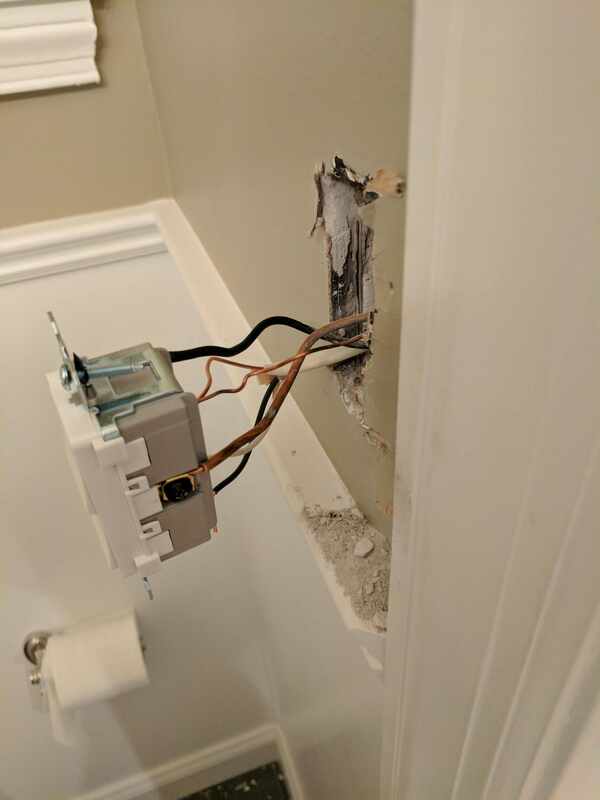 note: nice hackjob on ripping the switch out of the wall... and no wall box? and why 14-2 wire ? smh. Last edited by kirkdc; 05-26-2017 at 07:40 AM. We can also assume it's a switched neutral. Same end result ....he's boned. You are adding another circuit. Can't do that with just switches. I suspect a junction box will need to be added topside and a line run down. Better let a sparky do it, it ain't worth it if things go wrong. What's with the wall damage? I thought black was ground.....snicker.